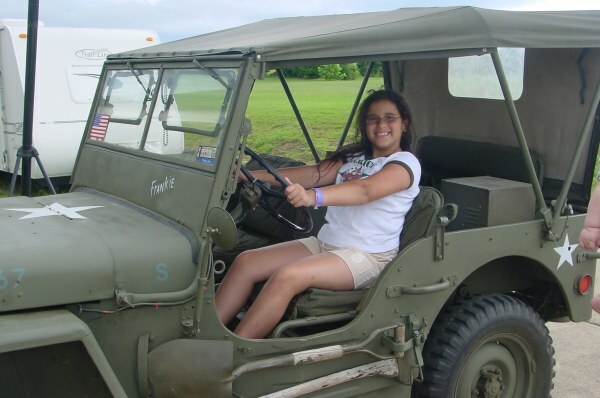 Christina likes to ride in the jeep we call Frankie. Her favorite ride is at Lamars semi-annaul MVPA Rally. There we take the jeep on dusty and muddy trails, crossing creeks etc. Here is a clip of the trail ride at Lamar’s..be forwarned, it’s 8megabytes so it could take a while depending on your connenction. 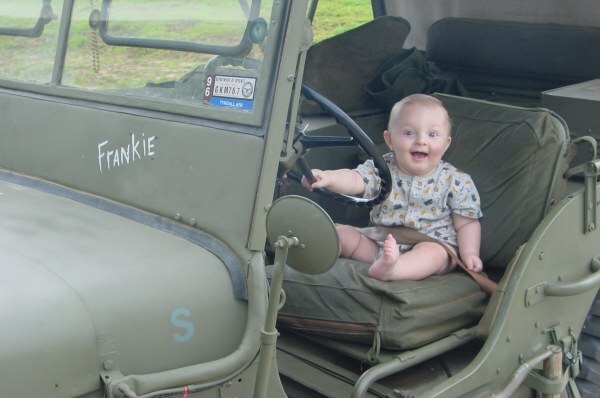 My grandson Marcos can hardly wait to drive the jeep. Guess, I will have to find him one more his size in the meantime.